BumbleKast #70: What’s Tangle’s Favorite Color? 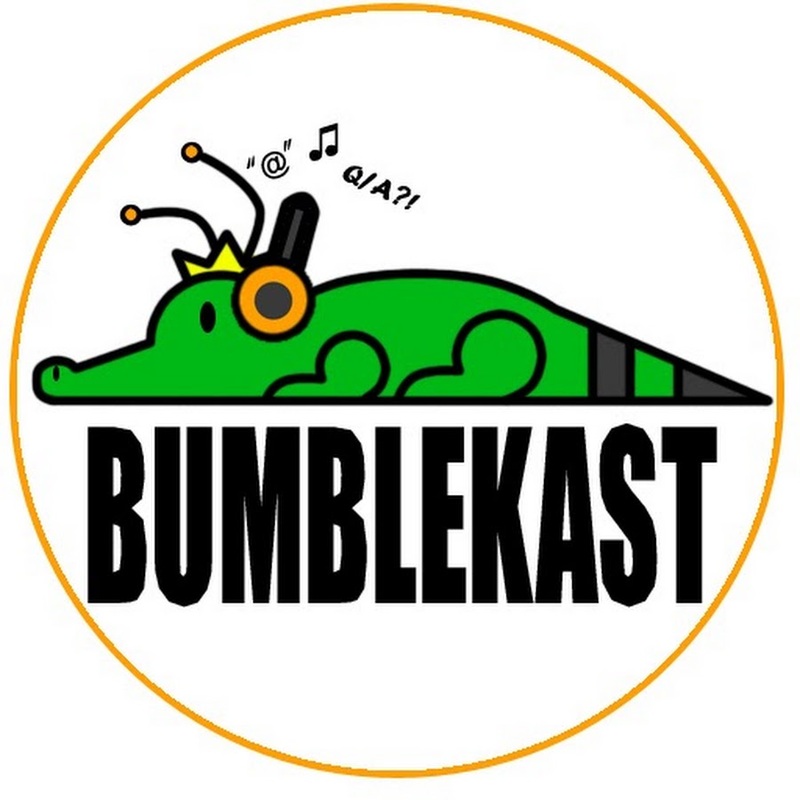 The newest edition of the BumbleKast features IDW Sonic writer, Ian Flynn, and his friend, Kyle Crouse, discussing their hopes, hype, and predictions for E3 as well as some interesting topics stemming from the Q&A. Such topics include whether or not Eggman is definitively from the Human World and what Tangle’s favorite color is! To find out and listen to the who podcast, I have included the video below as well as a transcript of the IDW relevant questions! Per usual, I have skipped to the Q&A! Q: Tangle’s really struck a chord with the Sonic fandom. In all my years as a Sonic fan, I don’t think I’ve ever seen a new character, let alone a comic character, get such a big enthusiastic and near unanimously positive welcome. What did the folks at IDW think of the reaction, has SEGA give any feedback or well wishes? A: I along with the rest of the IDW crew, were kind of floor, because…I’ve never seen anything like this. I’ve said it before, I’ll say it again, I was awed and humbled by the response. And the IDW folks were likewise impressed with the passion of the Sonic fandom. As for SEGA, not that I work directly with them or can really speak for anyone at the company, but the SEGA shop did have that exclusive deal where you could get the first four issues and a Sonic and Tangle t-shirt. Which is as far as I know the only time a non-game character has been featured on SEGA merch beside Sally way back in the day. Sally was kind of a weird case in that the structure of who controlled what part of the franchise was kind of vague. I think most of the Sally merch was in the Australian branch for some reason, but this was the first time SEGA of America, and I’m assuming in conjunction with SEGA of Japan, had official merchandise featuring a non-game character, so that’s huge. Even if you wanted to say, blanket statement, all of SEGA, non-game character, she’s the 2nd in 20-25 years of the franchise. That’s nuts, that’s huge, that’s crazy. I don’t think that means that she is going to appear in anything else anytime soon, but all of the characters are being designed with it in mind that if SEGA were to become keen to them they would be easy to transplant. So who knows? Certainly not me. I think Tangle is a testament and a byproduct of a new era for Sonic comics and Sonic as a franchise. As beloved as the Archie series was, it developed in a time where the brand was not as solidified as it is now. This created some interesting and strange stories that did not quite fit with SEGA’s vision. Now we have the same dedicated crew with a blank slate. This time around they do not just have SEGA’s oversight, but also their blessing now it seems. They know what SEGA wants and are comfortable and happy to work within those confines, in turn SEGA is happy to give them more freedom to work in that space. Tangle and more recently Whisper are the result. More and more we see SEGA accepting the comics and even being influenced by them. It is definitely a good sign and will only serve to strengthen the brand. Q: On the subject of the Two Worlds, has it ever been officially established whether Eggman was from the Human World? If so, why would he travel from another world to rule it. Maybe, he was no match for GUN and wanted to build up his forces in another world first? A: In terms of official statement, in Sonic X, Eggman flat out says that he comes from the Human World, but it seems to be something of a surprise to him, but Sonic X took liberties with the known game canon, but it was also the first one to explicitly introduce the Two Worlds idea that the games just kind of didn’t really touch. So I don’t know, and from all that I know, both public and private, I don’t think it’s been established when or why he came to Sonic’s World. There are a multitude of reasons it could be, a lot of hinges on when and how he got there. So, there’s a ton of possibility, but in terms of officially statement, none that I know of. A curious question that naturally arises when you segregate the Humans World and Sonic’s World into two distinct planets. Just how did Eggman get to Sonic’s World, why are there no other humans there, and how exactly do they so freely travel back and forth! All great questions, unfortunately, none of which have answers currently! Q: Does Tangle have any hobbies? Also, what’s her favorite color? A: Her favorite color is orange; that’s why she wears it. Her hobbies are mostly training and sparring, boxing, self-betterment exercises, that sort of thing. She’s very high energy and needs to find ways to let it out. Previously we found out that Tangle loves strawberries; this time we find out her favorite color is orange, as illustrated by her outfit. As one might also guess by that outfit, she is very active and is devoted to honing her martial skills with her boundless energy! Another episode of BumbleKast is in the books! More insights into the mind of Ian Flynn and the unfolding new IDW Sonic universe! We will be sure to continue posting those tidbit that affect the new book whenever they arise, so stay tuned! Next Issue #6 and Box Set Delayed!